MY Blog: BMW E65 735Li limited edition spotted in Kuching! BMW E65 735Li limited edition spotted in Kuching! 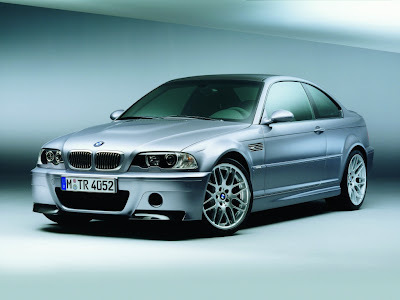 BMW is my dream car, and I will have to wait for N years to get one. ( N = Infinity? ) Buying a BMW car in Malaysia is no joke, due to the import tax etc, the cheapest BMW you can have is at minimum of RM200,000, or USD 70,000. 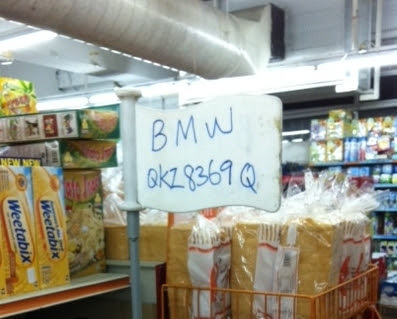 During my stroll in one of the supermarket in Kuching, Sarawak, Malaysia, I actually see a "BMW" in the grocery mall, and I mean seriously a "BMW". Anyone can "Ride" the BMW for an hour or so. Please look close up at the plate. Yes, it is a BMW. With Car Plate of QKZ 8369Q, so, is this car registered?? As I said before, I dream to have a BMW, but please, not this one. Ok, enough for the crap talking, here are some photos taken in Kuching, Sarawak, BMW E65 735Li. This black beauty was sent for detailing. If you do not know what is detailing, it is in fact a act of thorough and extreme cleaning, waxing, and polishing of the car, in order to produce show-room-quality car. These were taken AFTER Detailing, at Kuching, by a bunch of professional people, using Optimum products. If you have not heard of Optimum, please visit their official site at OptimumCarCare. Tips: How to Wash Your Car? Before detailing, park at the workshop! After detailing, going for a ride! Do bookmark us and come back in the future as we will post tips and tricks on how to care your ride optimally using minimal budget. Nicely modified Green BMW with custom body kits and paint. My Experience with Pbbseller, Lowyat.NET.